Ever since we used machine learning at Jetpac to identify great high-res photos for our iPad app for travel destinations, I’ve been amazed by how little attention photos are getting on online hotel booking sites. Airbnb learned how important good photos were already back in 2010 when they found that improving the pictures doubled the weekly revenue, but when looking at online booking sites like Hotels.com and Booking.com, the image for each listing is small and often not very appealing. I've booked more than 150 hotel nights so far on this trip and the photos are a big part of my decision making process. Let me break it down for you. What I’m usually looking for is the quality of the photos themselves, blurry photos with a timestamp is usually not a great sign. Then I try to get a sense of standard, interior design and vibe. If the hotel passes the first test, I check the images for the specific room. At this step, the hotel is competing with other hotels that passed the first overview test and the battle is now on a room comparison level. Issue #1 is the lack of photos as most hotels don’t provide more than 1-3 photos of the room. Issue #2, and the biggest one, is that the photos are not always of the room I’d actually get, but is meant as an example of the room standard. However, often the images are a mix of renovated and old rooms, with or without a nice view and with different layouts. So how can I know what experience I’ll be getting? Paying $200 per night can be worth it if I get one of the nice rooms, and totally not worth it if I don’t get what I expected. 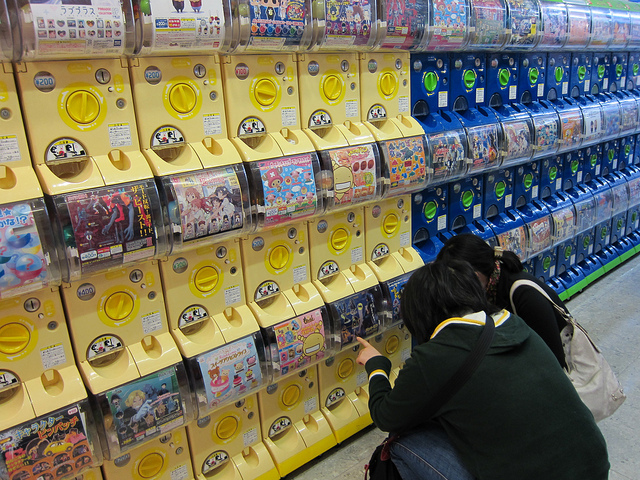 It’s like buying a gacha gacha. How could photos help me make a booking faster? Hotels need to understand the importance of good photos and provide sufficient photos and maybe some level of curation. The booking platforms could use machine learning and personalization to make sure I always see the best photos and what’s most relevant to me. The List: Show the photo that best represents the hotel vibe as the cover. Make sure it has good lighting, colors etc. Let me scroll through photos without having to open a new listing page or display multiple photos in the list view. Let me hover over a photo to view it larger. The Hotel: Organize the photos to let me easily get to and view photos of the pool, the lobby, the restaurant, rooms, gym, indoors, outdoors etc. On mobile, make sure I can view photos in a grid view, not just as a slide show. On mobile, make sure images can load fast, also on bad networks. The Room: Let me view photos of the actual room I’d be booking or clearly label what will be different.